The kingdom of Illustra is without a king and on the brink of a multi-front war. More, the religious leaders are confounded that Deas (God the Father) has not revealed the identity of their new king, who will save their nation. The draw is between two very different and equally likeable men: Errol and Liam. A prophecy given some time ago suggests that one of these men will save the nation by giving his life, while the other will live. Princess Adora is also a key character, and unashamedly in love with Errol, who reciprocates her feelings. This is an epic adventure full of action, mystery, the exploration of other lands, strange monsters, and detailed battles, as well as having elements of romance and theological thought. Parts of the story reminded me a bit of The Odyssey, while it also has a medieval feeling, and surprising theological depth (especially considering ecclesiology and pnuematology). 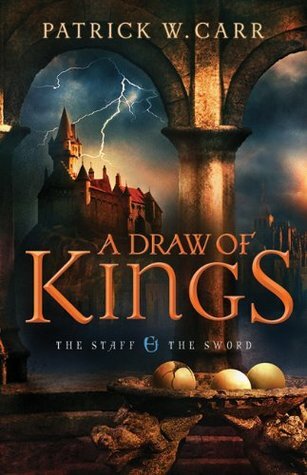 I jumped into this third and final book of the series without having read the first two. While I was immediately pulled in to the intriguing story, I was also constantly aware of the missing back-story. There are several groups of characters to learn, and many references to relationships, memories, and events of the past. I enjoyed the book for itself, but also had moments were I was confused by the narrative. Therefore, I would absolutely recommend reading the trilogy in order if possible–I will probably go back to read the others as well! This is the classic story of a young woman discovering that she has royal blood and is the heir to the throne of a small, little known (fictitious) nation, and its only hope of survival. More than that, it has a strong spiritual foundation, and becomes a metaphor for identity and purpose within God’s Kingdom. (Princess) Regina Beswick is a strong-willed Southern gal, who restores classic cars, and was finally feeling that she was “living the dream” when her life was interrupted with the news of her hidden identity. 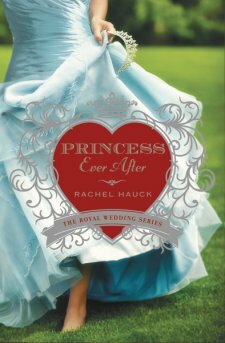 The theme of finding her identity, home, and purpose are almost stronger than the budding romance between her and her “prince”, which gives the story a bit more depth than the average romance. There were moments that were a bit cheesy romantic, or maybe too idealistic; but isn’t this part of what makes a good fairy tale? Overall, it was a fun, light-hearted, read, but also had me thinking about identity and God’s love. I enjoyed it, and I think teen girls would love it. I received a complimentary copy of this book from Zondervan. One night last week I had just started falling asleep after a late night study session when I felt the Holy Spirit awakening me to pray for my little ones. As I was praying for Jeremiah (our almost-four year old), I thought I heard him breathing funny. By-the-way, it is abnormal that I could hear him breathing in his room while I am in our master bedroom with both room doors partially closed. I began to recall some of the “paranoid mom moments” I’ve had in the past of checking in on them unnecessarily; but the Holy Spirit prompted me to get up to check on him, and I did immediately. Upon entering the boy’s shared bedroom, I heard and saw that Jeremiah was choking. I reached down to him and he and his bedding were soaked in vomit, and he was sleeping on his back continuously throwing up and struggling to breathe. Scary right?! This has been our first flu experience with the kids, so even on that level the vomiting caught me off-guard. I’ve also read though of people dying from asphyxiation by vomit, which is crazy to think of even now. Thankfully I was available to help at the right moment, and was able to sit him up, clear his mouth, and clean up the mess. Then we made him sleep in our bed the rest of the night, on his side, just in case. Jeremiah is all healthy now, and Xavier, who caught the bug a bit later, is still regaining his usual energy, although his other symptoms have passed. It’s no fun being sick, but I love that even in moments like this God is with us to protect us, guide us, comfort us, and speak to us personally. We have so much to be thankful for.